What can an English tabloid journalist hired by Piers Morgan reporting for the United Kingdom’s Daily Mirror to write exploitative editorials have in common with an award winning country music star from Canada? Remarkably it was from the power of the written word that a message crossed international waters that kick started an endeavour to end child prostitution and human trafficking in a country where the government has clearly turned a blind eye. Human Trafficking is an issue all over the world, whether you want to believe it or not, but Brazil is one of the main countries that has turned it into a business venture for poor individuals looking to climb the social ladder. The peculiar characteristic about this country is that since 1970 the population of Catholic followers has reduced from a profound 90% to 65% recorded members in 2010. Even with the second largest Evangelical population in the world it is not hard to comprehend that the majority of fervent followers feel disenfranchised. With young children losing their innocence to criminality and prostitution and families living with constant worry and injustice for their exploited children, that belief in a God that fails to answer is taking hold on a wanting country. For some people they would see this opportunity as a personal mission from God. If the whole world is a stage, enter two devout Christians as they take this matter and use it as a podium for expressing their agenda towards the following of God’s word. 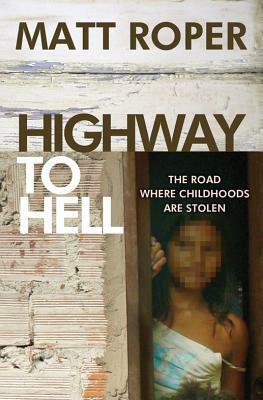 Previously I have read books like this and have been put off by the overt preaching, but with Highway To Hell there is a general feeling of individual causation for helping the lost girls of Brazil. Don’t get me wrong, both Matt and Dean are loyal followers of Christ but they don’t isolate the reader into believing that God is the be all and end all, they suggest that you too can improve mankind as long as your heart is in the right place. These courageous guys put themselves in potential dangerous situations for the attempt to change at least one girl’s life. After meeting many lost girls their plan is to assist in curbing the insurmountable feeling of hurt and loneliness by building Meninadança or a dance club which teaches the girls by day and provides a safe house by night. This project is aimed at improving the hope, healing, and justice for a lost generation of victimized girls. Meninadança are pink houses with bright walls, beauty salon demonstration, dance room with wall-to-wall mirrors and inspirational quotes to highlight the value God places in every child. By embracing the inner child and the satisfaction that can bring along with realizing a hope for the future, life on the street will be seen as a distant memory. My first experience with the Brazilian culture beyond Carnivalé occurred while watching the award winning movie Cidade de Deus or City of God for us English speaking folk. The movie showcases the choices available to young boys which include poverty, violence, drugs, crime and gang warfare. 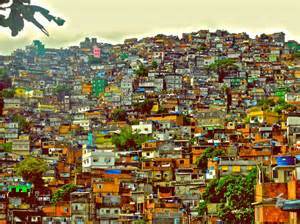 City of God is the name of a economically struggling favela in Rio De Janeiro where escape for a better life is not an option. While pre-teen children in Canada are playing with water guns, in Brazil these boys are toting firearms bigger than they are with such comfort and familiarity it’s quite alarming. I bring this movie up because it had the narrative of a young boy’s life in Brazil while the book Highway To Hell demonstrates life as a young girl, the similarities are many, and the end result of drug addiction or death is inescapable if no alternative is provided. The root of the problem is in the local legislation and state infrastructure. Child councillors generally have a fear of making enemies within a town that had lost the perspective of how unjustifiable child prostitution really is. Unfortunately the children councils and many political figures in the book accepted the reality of child exploitation as a part of the regional landscape, but the one thing that stuck with me was the fear the “John’s” had that their identity would be made public for the infraction. In the city of Araçi 20% of the men were involved in child exploitation, and within that number 60% of those men are retired and viewed this behaviour as culturally accepted. This was regarded as such a trivial matter that in a popular forró song there is a lyric expressing that “the remedy for an old horse is to eat young grass”. 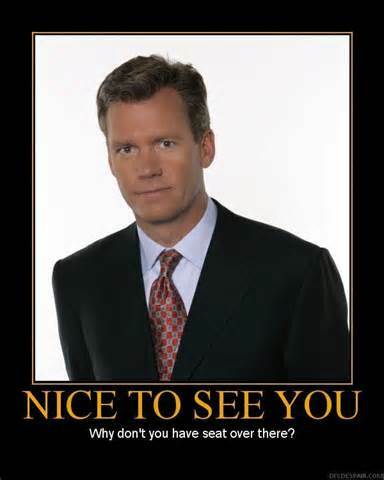 With the Brazilian infrastructure viewing this as some sort of economical stimulus, Matt and Dean should start some sort of To Catch A Predator with a Brazilian Chris Hanson investigative reporter to strike fear in the community and the potential shaming for life. The life of suffering among young girls on the BR-116 in Brazil certainly ends in drug addiction and even death. More often than not for these girls it starts at a young age when they are sexually abused by someone in their immediate family. Where the line between promiscuity and prostitution is quickly blurred, these girls have no chance when every figure in their lives preys on their innocence leaving them a shell of their former selves. Once the girls lose the light in their eyes and succumb to the presence of abuse, their future in prostitution is pretty much set in stone. The only logical conclusion for them is to at least get compensated for it. One problem I had with the structure of the book was how the story of all the girls melded together. I would have preferred chapters dedicated to each girl so I would have had a better chance to differentiate each story making it more memorable for me. The two stories that were impactful were the stories of Leilah aka Leidiane and Mariana. I was also intrigued by Mariana’s reference to survival and the black Earth, I wish I would have learned more about the aspects of their lives that people in more developed countries could never imagine to be a possibility for their own reality. This book is recommended for anyone looking to gain a better perspective of the troubles facing the young children of Brazil and how two normal guys are working to solve them.